Summary: Dean’s getting debilitating migraines every time Sam uses his psychic powers, Sam figures out how to stop the headaches and the brothers reach a new understanding. And how the hell did he end up with the same damn headache as Sam anyways? Usually it’s just him playing nursemaid while Sam recovers from one of his visions, but this time, Sam had mumbled something about having to use another power. His brother the budding psychic wonder. Another power, what in the hell does that even mean, death visions and telekinesis aren’t quite enough, there’s another one they’ve got to deal with too? Enough with the whining to himself, it's not productive and not restful. They both seem to drift off as fighting off the headaches have completely worn them out. It’s not a deep sleep, but it’s better than lying there awake with a railroad spike being driven in and out of his skull. ldquo;Sammy you doin’ any better?” Dean asks as he struggles up out of bed in the late morning light. Sam leaves as quietly as he can, because he can see Dean flinching in pain at every little noise that he makes. As he’s waiting for their takeout at the Chinese place, idly watching the goggle eyed goldfish swim back and forth in their dirty tank he starts thinking about Dean’s headaches lately, and how they’ve been syncing up with when he uses his newer psychic powers. There’s a connection, a pattern, definitely, now that he really starts to get detailed remembering the last few weeks. There was the job where they met Andy, Dean had a bad headache for at least a day afterwards, that was the first time he’d used the mind control trying to get Ansem to leave Andy alone. 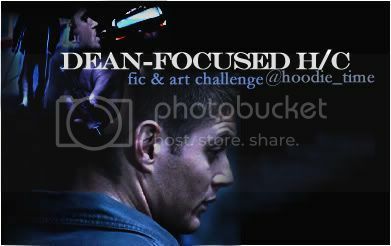 After that he used the mind control thing again on the people that had the ghoul chained up in their basement back in Atlanta, Dean had had a terrible headache for two days after that. But Dean hasn’t had a headache at all when it’s just the death visions, that’s when Sam gets one. Dean only suffers when Sam uses the other powers. He calls Bobby on his way back to the motel room and gives him the lowdown on the new powers he’s discovered about himself and also the whole headache thing. Sam reluctantly returns to the motel room, not wanting to give Dean this horrible news, but he has to. And there‘s his poor brother in the exact same position on the bed he left him in, possibly asleep, but with a big crease across his forehead, this is the one he makes when he’s in pain but trying to pretend otherwise. Sam knows Dean’s face better than anyone else’s in the whole world. “Yeah, thanks Sammy. You’re back fast.” Dean says weakly, pushing himself up slowly to sitting. “No, it’s not that, we’re more than plenty close, believe me. I just think that if we can do the telepathy thing more reliably it might be a good thing. You know if we get separated by something or someone.” It flashes through Sam’s mind that most things they encounter instinctively seem to know better than to come between them. It’s the people that are the trouble, or the demons, they seem to always use their closeness against them. Time to turn that around and make it a strength instead of a weakness. Dean locks eyes with Sam this time, searching his face, falling into those familiar multi-hued eyes, feeling welcomed and safe and just together, hearing his brother’s soft voice whispering in his head “you can do it Dean, nice and easy, just try it.” Dean pulls his eyes away to the chopstick and looks at the edge of the table. The chopstick moves slowly as if it’s being pushed by an invisible finger and falls off onto the dirty orange carpet. “Fine, I could feel a little tugging, but it was, well I’d call it gentle.” Sam smiles at Dean a little shyly, because of this sudden intense intimacy of letting his brother in so close past the walls they usually keep up between them. “Yeah, of course.” Sam answers a little hesitantly, Dean sees his brother is holding something back. “That this is a good thing we’ve got going and we ought to keep on the way we’ve been, just practice this bond thing and see if we can use it.” Sam’s trying not to get too emotional, because he knows it will just bug the hell out of Dean, he tries to keep his face from showing how damn happy he is. “We’ll just agree not to do it on each other, unless it’s required by some emergency situation. Just like we don’t dig in each other’s duffle bags, something has to be off limits since we’re always together you know?” Sam says simply, as if it should be obvious. “Got something in there you don’t want me to see or something Sammy?” Dean teases. “You have no idea.” Sam deadpans in return. “Oh I have my guesses.” Dean decides to just leave it hanging like that because they both know what he’s referring to. “Should we practice mindreading to make sure we can do it if we need to?” Sam’s pretty sure Dean will be able to do it, and he’s honestly not too worried about what his brother will see in his mind, even though they’ve never talked openly about it, they both know what the big unsaid thing between them is about. “Well there’s the mind control thing.” Sam tells him, realizing in that second that he hadn’t told Dean that he could it, not wanting to freak him out any further than he already was, especially after hearing the truth that Andy had pulled out of Dean about how worried he was about Sam and his powers. “Nothing, huh? Well, I’m going to go get some laundry done while you rest up a little more, that headache looks like it really took it out of you.” Sam pats Dean on the shoulder and stands up. He settles back down on the bed, snuggling in for a nap before Sam has even gotten out of the door. With his eyes closed he can hear the familiar sounds of Sam moving around the room, sighing and breathing just like he normally does, the familiarity lulls him into that pleasant, relaxed almost asleep state, so many years together with these same sounds and rhythms. But Dean can feel something else now, just out of reach, now that he’s looking for it, off to the side in his mind, there’s some other information he could be getting about Sam and what he’s doing or thinking, if he just tried a little bit, so he does, he pulls at something that seems like a tempting waving string, gently tugs on it to see what pops out and it’s a picture he receives from Sam, no it’s more like a video. Of Sam putting down the laundry bags and taking off his boots and crawling into bed next to him, holding Dean around the waist, pulling him in close and snuggling in for a nap. Dean starts feeling really warm all over at the idea, it would feel really really good to be held like that by his brother, he starts to want it a little more as he watches himself driftd off to sleep in Sam’s arms. “Yeah, just about, except for this.” Sam moves his head slightly so that instead of his nose being buried in the nape of Dean’s neck his mouth is there instead, and he kisses Dean exactly once, wetly, loudly and with a finality that rings of inevitability. Dean just shivers and holds onto Sam’s hand that’s there, low on his belly. They breathe together for a while, in, out in, out, until his shivers are over, even though Dean can still feel the imprint of where his brother’s lips touched his skin. He could swear it’s a glowing bright beacon, that anyone will be able to see, *ThisIsWhereMyBrotherKissedMe! * but really all it’s doing is sending this light and heat through his whole body, filling up all his cold corners and he just doesn’t care about anything else, whether it’s wrong or right or what anyone else will think, it’s good, it’s them, so what? “It’s gonna be pretty soon if you don’t let me.” Dean growls. “Fine fine.” Sam starts humming into the back of Dean’s neck. “Naw. I can’t ever remember feeling differently about you. You were always my responsibility.” Dean twists back and resettles in Sam’s arms. “Yeah I know, but what else is it?” Sam whispers, his heart in his throat, not wanting Dean to answer, not wanting him to refuse to answer. “You are Sammy, at least to me you are.” Dean squeezes Sam’s hand, pulling it in tighter to his belly. “That makes two of us then.” Sam squeezes back, kissing Dean’s neck once again, in the same spot. Dean turns back to look up into Sam’s smiling face. Once again Dean is reminded of how damn simple it is to make his brother happy with just a few words, Sammy’s so easy that way. Why does he find it so hard to do that when it gets him that smile? God that smile, he’d do anything for that Sam smile, including telling the truth no matter how mushy it happens to be. “Yeah, me too.” Dean reaches up to brush his lips gently across his brother’s, then lays back and relaxes into Sam’s arms, they both drift off to sleep easily, resting comfortable with the warm bond that pulses between them. Awww. This was very sweet. Thank you, I'm glad to hear that you enjoyed it!